It is well documented that for millennia, many cultures have used and revered crystals for healing. Science has proved that each crystal possesses a unique geomagnetic vibrational pattern. Used in healing, the crystals vibrational pattern interacts with the energy flow of both the physical body and energetic field emitted by all living things. The therapeutic effects of Crystal Healing can be powerful and extensive. 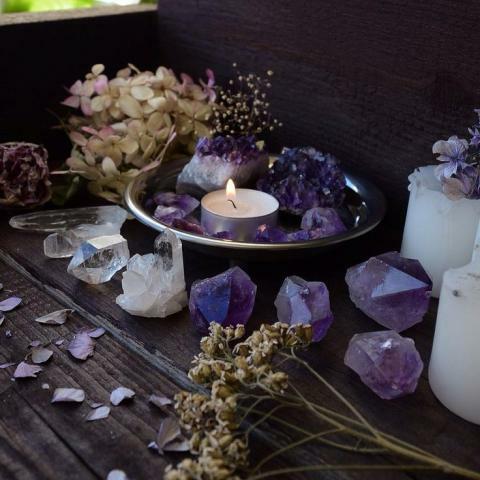 Crystal energies can enhance all levels of the body, mind and spirit, and promote health by soothing, balancing and re-energising both the physical and energetic body. Crystal therapy can assist in promoting good health, the prevention of illness and recovery from existing conditions. During treatment, crystals and gemstones are placed upon or around the body at specific energy points. This removes energetic congestion and emotional tension, thus allowing the individual to relax, restore balance and heal. An initial consultation and treatment costs £45 and lasts for one hour. Following sessions cost £40 each and last for an hour. Lauren 01296 711555, or email the gallery.